Littleton, CO - Paul Stephen Gladin, 63, passed away December 28, 2018 in the VA hospital after a brief battle with cancer. A native Floridian, he was born on September 22, 1955 and became the adopted son of Lolis and Cora Lee Gladin, who preceded him in death. Paul worked in a variety of construction positions and served with Honor in the United States Army during Vietnam. He attended North Marion High School and studied Political Science at CFCC. Paul is survived by his sister, Patricia Snyder, Sparr, Fl; two nephews, Joshua and David Snyder, Ocala, Fl; two great-nephews, Ocala, Fl; several cousins and numerous loving friends. 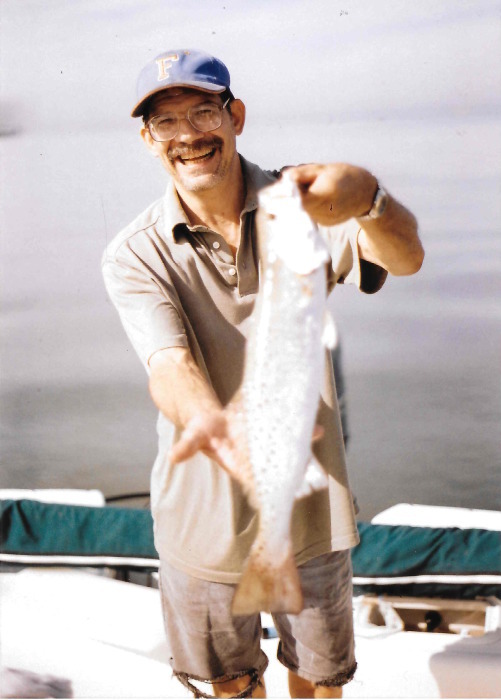 Paul was an avid fisherman, a collector, loved and enjoyed his friends, pets, hunting, car racing and researching American History, especially little-known, as well as famous battles. A memorial service will be held at 11:00 a.m., Wednesday, February 6, 2019 at Unity Baptist Church, with Pastor Samuel W. Clements officiating. Inurnment will follow at Florida National Cemetery. Arrangements are under the care of Countryside Funeral Home, Anthony, FL. In lieu of flowers, donations can be made to WoundedWarriorProject.org in honor/memory of Paul.